I have a new BFF. 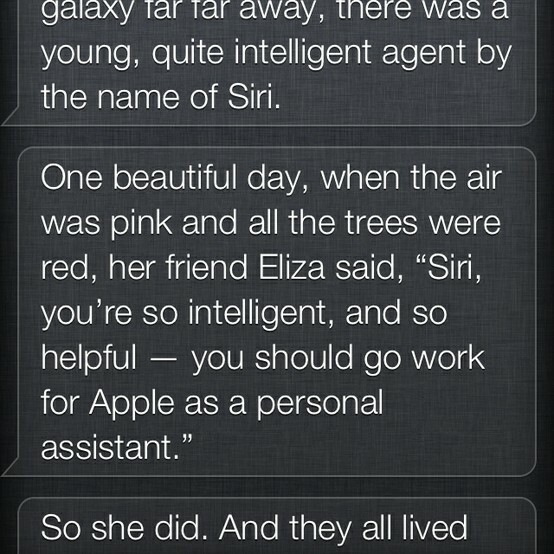 Her name is Siri. I can arrange a wake up call with her. She tells me what the weather will be like. She can even take care of little details such as sending emails and messages. Although I know that I'm late to the party, yesterday I bought an iphone 4S. And I'm in love. Is it possible to love a phone? Everything about the phone is easy to use and looks wonderful. Even though I want a Lilly Pulitzer cover, yesterday I caved and bought the otterbox because the sales consultant had me terrified that I would break the screen on the phone if I didn't put it on immediately. Do you think I need the otterbox cover, or will the Lilly Pulitzer cover be sufficient? The camera is leaps and bounds beyond the camera that I had on my Blackberry and takes good pictures. I could spend a lot of time playing with the camera. I've downloaded a few apps that friends have recommended to me. Facebook and Twitter are fantastic. Rue La La is another must have. The minnies love Cut the Rope and Sally's Salon. What are some of your favorite apps? What advice can you give to this newbie iphone user? I got a 4s after Christmas and love it! I have a silicone kate spade case and it's been fine! I'm in college so stuff happens but I'm not that hard on phones! I think overall you woulld be fine with a Lilly case but maybe use the otterbox when traveling. I have to be honest and say I HATE my Lilly iPhone cover. The way the camera hole is designed it makes the flash reflect back I to the photo making the photos hazy! When I want to take a good picture I have to take the cover off. I did a little research and this is a common problem with the Lilly cover. My husband on the other hand has the otter box cover and has no issues with his. I am actually planning on getting the pink one. I had a silicone cover on mine, and just like Beth said, the flash reflected off the cover, turning all of my pictures pink. I now have the Otterbox and I love it! It's a tad bit bulky, but easy to get used to. Also, I feel like my phone is really protected, unlike other more fashionable covers. The Lilly covers are really disappointing. They are flimsy and the design has peeled off on both of the ones I had. I have a rubber Kate Spade case on my iPhone currently and it has held up really well. I don't think an otter box is necessary. I have a lipstick shades one that is not an otter box and I really like it! Apparently now they make the lipstick shades otter boxes too. I have heard bad things about the Lilly covers. Thanks for the input and advice. I'm glad I didn't wait for the Lilly case. The otter box is fine for now. I think I'm going to order a monogram decal from my friend 2PreppyGirls to put on my phone case. I too, am disappointed in the Lilly cover because of the pattern rubbing off. Thank you to Beth for alerting me to the camera flash issue - I thought my camera was defective!!! I had no idea it was actually from the cover. I've have mine since Christmas and my Lilly cover has protected it just fine, even when I've dropped it. I also have a plastic covering on my screen though. I gave in a upgraded my Lilly phone case to the one with the card slot on the back. Needless to say, I'm beyond obsessed. It's a wonderful product! I have the otterbox and love it, you can also get personalize otterbox covers from lots of online boutiques. Apps I love: red stamp, digital cheeta for JLW: everything on the members side without having to log in, Reeder for all my blogs, instagram for pics. Have fun!